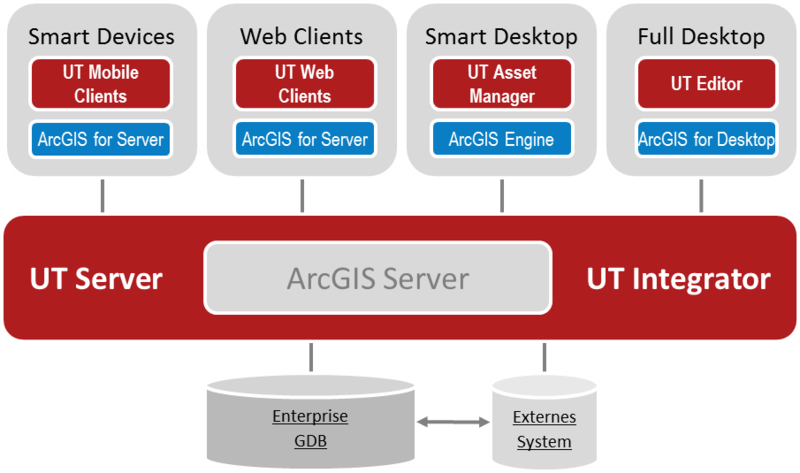 The UT for ArcGIS Product Suite is a professional product suite, covering the needs for mobile use of geo data, web solutions, high-end editing comfort in a desktop environment, planning solutions and integration of other IT systems (e.g. ERP, SCADA, network calculation). All components are based on the world’s leading GIS technology by Esri. The UT for ArcGIS Product Suite provides one certified multi-utility data model, which can be extended to your own needs. It can easily be implemented in an enterprise environment due to its unique configuration possibilities.